until they drift off in separated dreams. Linked to Open Platform at toads. I always wondered what a singles bar was like. Ours close at two. Same as the regular type. My mother always said that I’d never find a nice girl at a bar. Our daughter and SIL found each other at a singles hang out. 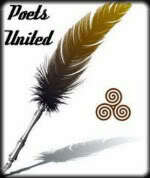 Wonderful poem, made even better with the image!!! Yes, that’s such a bleak painting. You’ve conveyed the loneliness well. Lovely. And lonely. I especially enjoyed “like lilies on a coffin”. I can feel the tiredness of 3 a.m. I can see those neon pale faces. This has such a sense of place, Bjorn.. that is the storyteller in you coming to the fore in succinct creative ability. Smashing! One of my favorite Hopper paintings, your words mirror it beautifully. “one last effort”, so mechanical. Life can be so gloomy when lived by the numbers… And love, very likely nonexistent. So perfectly captured, stripped down to almost bleakness, and sense of the futility of it all, the hope of/for an abatement from the taste of loneliness – looking for love (in all the wrong places?) 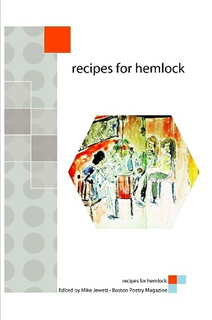 – great little, tight piece of writing that is such a compliment to the Hopper painting! WOW. This is one of my favorites yet, Björn. You’ve told a rich story in just a few words. 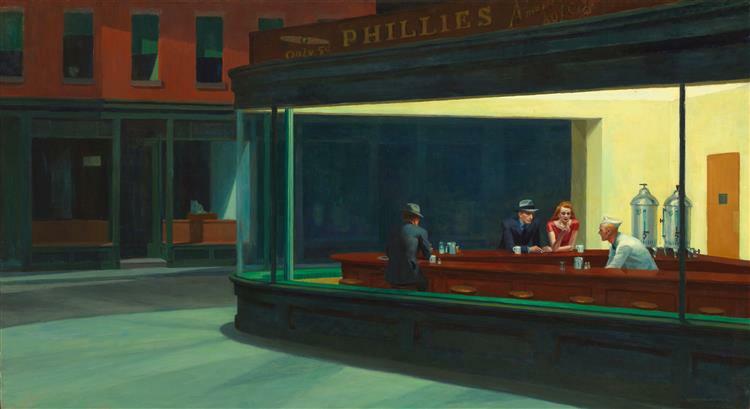 It’s amazing how one picture can inspire so many poems – I’ve written two about Nighthawks. I love your interpretation, Bjorn! When a hook up feels like a funeral. I’m glad I haven’t had to deal with the singles scene in decades. “like lilies on a coffin” Love that comparison. I haven’t been single since I was nineteen.